How do Phil and the survivors make out in the fourth season of The Last Man on Earth TV show on FOX? As we all know, the Nielsen ratings typically play a big role in determining whether a TV show like The Last Man on Earth is cancelled or renewed for season five. Unfortunately, most of us do not live in Nielsen households. Because many viewers feel frustration when their viewing habits and opinions aren’t considered, we’d like to offer you the chance to rate all of The Last Man on Earth season four episodes here. A FOX comedy, The Last Man on Earth stars Will Forte, Kristen Schaal, January Jones, Mel Rodriguez, Mary Steenburgen, and Cleopatra Coleman. After a deadly virus devastates the planet, Phil Tandy Miller (Forte) believes he’s the last human alive. Eventually, he finds other survivors and alternates between misery and elation. In season four, to avoid nuclear fallout, the survivors set sail for Mexico, even though none of them know how to pilot the boat. They also have to squeeze in two new passengers, Pamela (Kristen Wiig) and her dog, Jeremy. What do you think? Which season four episodes of The Last Man on Earth TV series do you rate as wonderful, terrible, or somewhere between? Should FOX cancel or renew The Last Man on Earth for a fifth season? Don’t forget to vote, and share your thoughts, below. 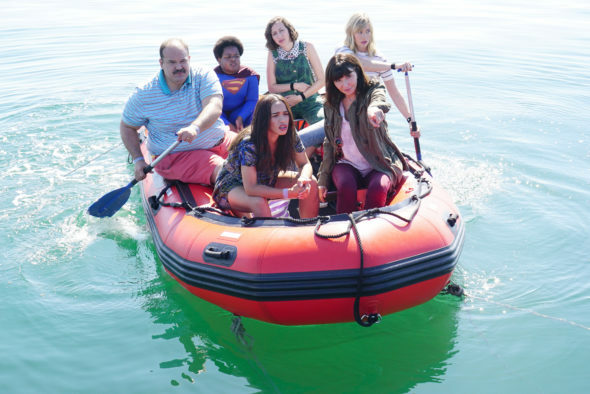 More about: The Last Man on Earth, The Last Man on Earth: canceled or renewed? Annoying. Tandy would drive me batty if I were in that situation. I will miss this show! I never saw so many comments on a show before! There were hundreds. One of the only reasons I watched FOX, certainly won’t watch anything there anymore! What a unique and funny show, boom. Please continue to season 5 and make more seasons! Love this show! Can’t wait for the next season!!! This show is the best! Original, witty, hilarious, and touching. PLEASE RENEW FOR SEASON 5!! Fan since the beginning. I’m a big PBS nerd, but on Sunday at 930 – LMOE, Baby! I catch up with PBS later, even Poldark! Please, please please give us another season or 2 or 5….. Finally have a sitcom that makes all of laugh! Dont cancel the only funny sitcom on tv right now. I love this show! I vote YES for season 5!!! I honestly was wary of this show when I started watching it. I have grown to love it and wish that I hadn’t binge watched the whole thing. I’ve been anticipating new episodes, especially with that cliff hanger at the end, and can’t get into other shows now. I just want to watch LMOE! The last man on Earth TV show is the worst TV show you have ever had. You cancel the TV show Major Crimes that has excellent ratings and show this kind of crap. I could not stand watching this TV show. It’s not funny it’s disgusting. I do not know how it got through three seasons and I say cancel that stupid ugly disgusting show. I’m late coming to this show and am wTching on Netflix. I love it! Please don’t cancel it! Awesome show! the guest stars are awesome, the scene with Jack black for only five seconds was golden, and Chis Elliot. I can’t wait to see who will be guest staring next. PLEASE DON’T CANCEL, THE SHOW! We didn’t watch this show on fox but on Netflix and omg we got stuck to it as a couple! We now say saying from the show all the time and plan to dress like Carol n Phil for Halloween haha. Please make a 5th! I need to know what happens with Carol and the baby and how they get through all this crazy stuff going on!! Plus you put a whole new character in there that’s like…crazy! Need to know how her character is going to act through this all!